In Barack Obama’s speech on leaving the White House, he named online echo chambers as one of the big threats to democracy. Across the pond, the same phenomenon – where people are said to be locked in to social media universes that only confirm rather than counter their own opinions – was widely thought to have played a role in ‘Brexit’. But when I speak to Dr Michal Kosinski, one of the most influential ‘Big Data’ psychologists in the world, his thoughts on the issue perhaps go against the grain. 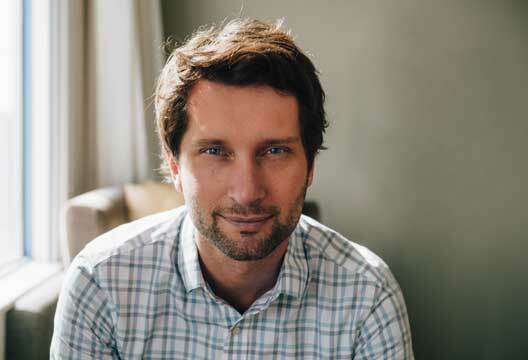 Dr Kosinski is far from the typical university professor. He has written two of the most influential articles ever published by PNAS, ranking in at 4th and 12th. TED talks have covered his research; a character in a play has been based on him; and year-on-year his papers are tabled as the most interesting, imaginative and influential. If you’ve ever been to one of his lectures, you’ll see the queue of students waiting outside afterwards begging to work on his projects. Perhaps it’s the content. His research covers everything from accurately predicting people’s personalities based on their Facebook likes, to using huge data sets to show that people are most likely to be friends with people who have similar personalities to them. He’s relatable, persuasive and hard to disagree with, but, having worked with him in the past, I am sceptical that you can predict so much from Facebook data. I’m also worried about the unprecedented power that such research provides to manipulate people. Spotify does this through a system that makes educated guesses at what users will like based on the music taste of similar users, as well as their own listening history and habits. In other words, what they do is similar to Dr Kosinski’s own research. It is also a technique used by Facebook’s own algorithm, EdgeRank, which learns intently from Facebook users’ behaviour, such as who they interact with most frequently and whether they respond to a certain type of post more – for example a photograph instead of a status update; and it even learns from posts that users write and never use. This information helps to decide what comes up on our Facebook feeds and encourages us to engage more. Using this type of information for research is not without criticism. In 2014 researchers at Facebook manipulated the posts on some newsfeeds to make them either overwhelmingly positive or negative. They observed the behaviour from users and concluded that online moods were contagious. It was a study that caused controversy. Many called it unethical, whilst others were suspicious that the study would be used to ensure less ‘neutral’ posts appeared on users’ feeds, to encourage their engagement with Facebook. Surely, I ask him, it is one thing if people choose to confirm their own biases, and another if organisations use vast data subsets about users’ tastes – possibly without their knowing – to manipulate them, sometimes with the particular aim of making their own organisation more profitable or relevant. But what if the algorithm decides that this person would be interested in reading mainly news that’s false, or news that is extremist, or news that confirms their own view? The Wall Street Journal’s ‘Blue Feed, Red Feed’ study took this to its logical extreme by showing us a simulation of a ‘very liberal’ and a ‘very conservative’ Facebook newsfeed side by side. Although they were clear that Facebook feeds may in fact include a more diverse range of sources, the study is uncomfortable viewing in terms of how polarised (and even contrary) news from opposing sides of the same debate can be. But if the world of information now available at the tip of our fingers makes us more aware that opposing opinions exist, surely the mirage on social media that our own view is the predominant, sponsored and, by extension, correct view only serves to make us even more self-assuredly ignorant? Kosinski points out that he has been to lectures with a number of professors who have been hard-pressed to prove, despite running studies for years, that people’s consumption of news has become increasingly polarised (although a 2016 study led by Michela Del Vicario, ‘The spreading of misinformation online’, makes an interesting read). He asks me whether the sources I’m getting information from are broader, and after careful deliberation I conclude that they are, but that the content is narrower. I, like two thirds of people who go on Facebook, get news on it. That’s nearly half of the general population. And it is clear that the way that people are consuming news is changing: only 20 per cent of people get news from print newspapers now, and whilst TV remains the predominant source for news for most, it might not be for long. A paltry 27 per cent of millennials switch on the TV for their news. Recently Mark Zuckerburg himself, the owner of Facebook and Instagram, reluctantly accepted the role of such platforms in the dissemination of news (see tinyurl.com/za2zfry). On the question of what we should expect to see from him next, he says: ‘I am currently trying to understand the links between facial features and psychological traits.’ It feels eerily futuristic. But like most of his work, it also sounds very, very interesting.